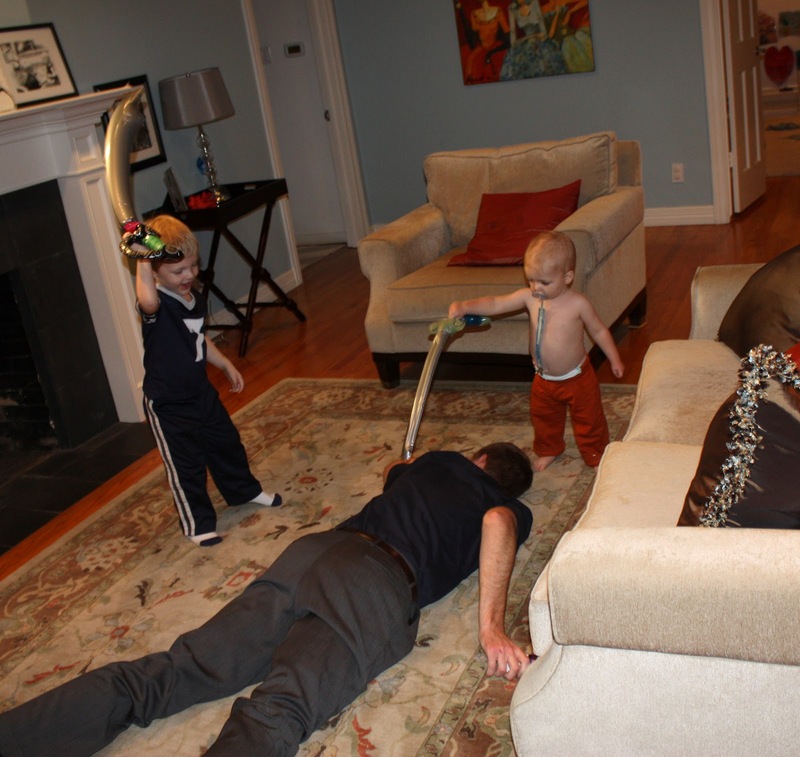 Or do your children also fight their father with inflatable swords the second he gets home from work? Can he not be bothered to take out his pacifier? He cannot. 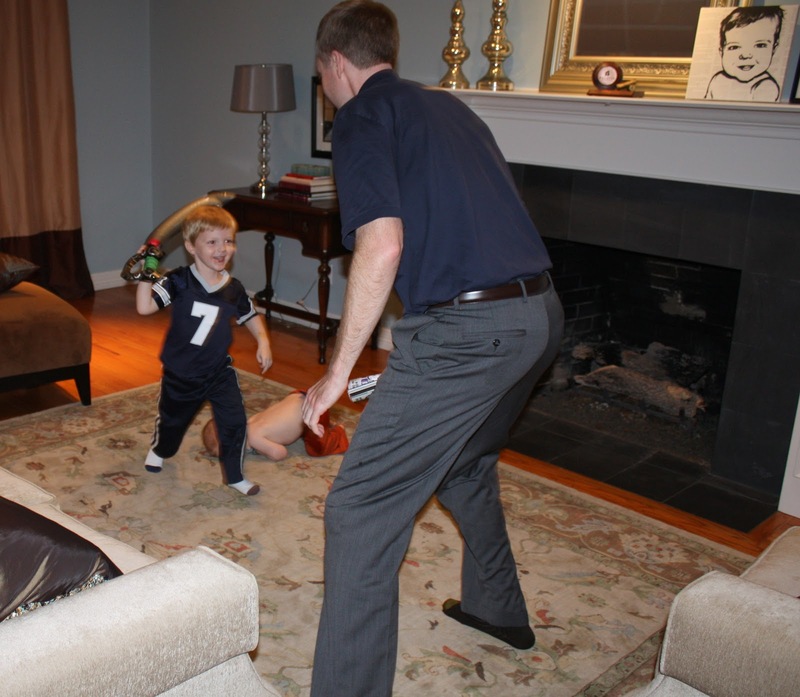 This is the current favorite activity at our house: sword fighting. The main issue (because there are many) is that the baby thinks any stick is a sword. So every bat, drumstick, bowling pin, etc. is carried on high, waddling your way. He has no concept of inflatable sword vs. hard sword. Girls moms don’t have to deal with this crap.